If you are purchasing a commercial property, you will be advised to perform reasonable due diligence prior to acquisition. The standard is performing an ASTM Phase I Environmental Site Assessment (ESA). A Phase I incorporates research of a site for the determination of past (historical) or current Recognized Environmental Conditions (RECs) that could affect the value of the property. Banks typically will require a Phase I for high-risk sites or when loan amounts reach a certain threshold. Banks typically have buyers pay for a Phase I to protect the bank, as the bank does not want to have a mortgagee be burdened with undue environmental remediation expenses that could in turn affect their ability to pay the mortgage. Any purchaser of commercial real estate is performing Phase I due diligence to protect their interest, not is once again not typically fulfilling a requirement of the law. Due diligence is a prudent practice to follow for any commercial purchaser. Many buyers contact our office with little to no real knowledge of what a Phase I is and are being directed to perform one by their attorney or realtor. Many people view a Phase I as getting their hand stamped and the quicker the better so the transaction can go to settlement. The due diligence aspect is many times an afterthought. We are going to cover the different scenarios when a Phase I is completed and when a Phase II or III is triggered and why that is a good thing. The best possible outcome for all parties after completing a Phase I, in the eyes of a buyer or seller is that the Phase I finds no issues with the site and accordingly there are no recommendations that any additional work is required such as a Phase II or Phase III. This is not as common an outcome as many people think or expect. Sellers do not want you to complete a Phase I as it delays the settlement and opens up the possibility that the Phase I may find an issue. Buyers do not want a Phase I performed for the same reasons, citing the time it took to find the perfect site at the right price as well as monies already spent to date. The Phase I is viewed as a necessary evil and one that at best could cost money and delay the sale from 2 to 6 weeks and at worst strike a crushing blow to the sale when a problem is uncovered that the owner was unaware of and unable or unwilling to address. The odds that the Phase I will come back clean, meaning no RECs are found, is based on numerous factors including the date of site development and historical usage of the site. We have found that some of the most innocuous appearing sites (upholstery and insurance office), have been found to have potential environmental concerns from PRIOR usage. A common Phase I situation is a client that is not required to perform a Phase I by the bank either because the loan amount is not triggering it or they are paying cash or there is a 1031 exchange. These are rush hand stamped Phase I’s as there are already planned deadlines and the Phase I request is coming from the buyers attorney. The rush part of the Phase I need is not based on anything pertinent relative to environmental conditions, but rather business or financial needs. This is where hand stamping is most common. Timing is relative and the sooner a decision is made on performing the Phase I the faster it will be completed. In a perfect world a Phase I would be initiated by the seller prior to listing the property for sale. In practice, it is one of the last things a buyer completes. Time necessary to complete a Phase I varies. Most Phase I’s are completed within three weeks, some can take as long as 6 to 8 weeks. The difference in timing is based on the presence of records at the State and local levels. The presence of files for a site at an environmental agency is typically unknown until a Phase I is initiated and the agencies are contacted regarding any files. If files are found, the review of reasonably ascertainable files is required. There could be a multiple week wait to get access to these files as they may be in storage or the first available date the State gives is 4 weeks away. The time to access environmental files at a State level is the under looked aspect of a Phase I. The determination that no files exist allows the Phase I process to be expedited. The presence of environmentally-associated records indicates that investigation/remediation work may have been initiated or completed. Records must be reviewed by a person with the experience and knowledge of applicable regulations to confirm that investigations/remediation has been completed in accordance with the local, State and Federal regulations. A recent Phase I had pertinent files that were at the State. Based on ability to accumulate the records and schedule the first available review date, it took five weeks to just perform a cursory review. 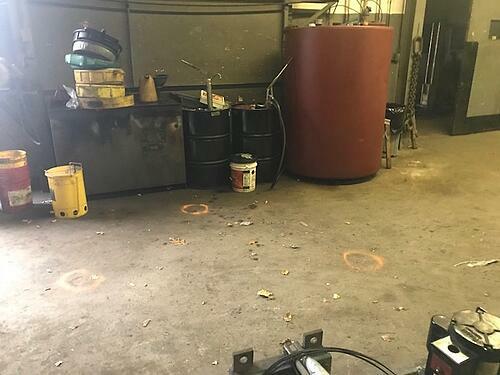 The review found that the site was formerly a gas station and had gas tanks removed and properly closed though the State. What the file review did not indicate was the presence of other tanks on the site that appeared to have been either removed or left in place. The unknown tanks consisted of a heating oil, waste oil and kerosene tank. 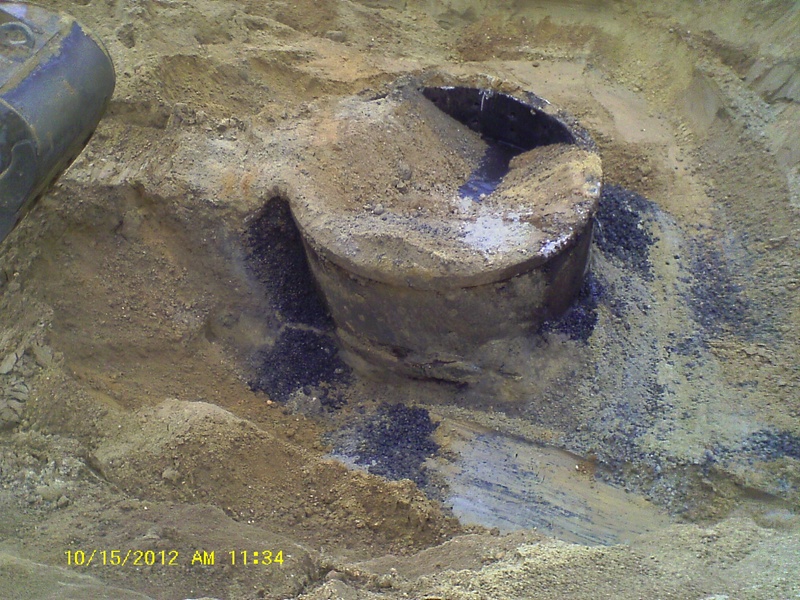 This triggered the need for a Ground Penetrating Radar (GPR) survey of the site to search for the possible missing tanks. In this case, the buyer was sure that all the tanks were removed and signed off by the State, unfortunately that was not the case. 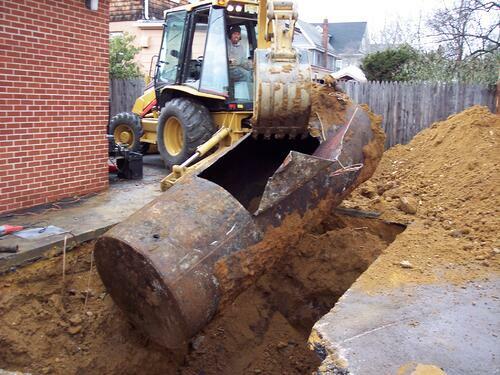 In this case, the buyer did not buy the site and the owner had more work to complete including the removal of the tanks. When you start a Phase I, anticipate that a Phase II may be the necessary. A Phase II is testing or further invasive evaluation of a suspected environmental concern. 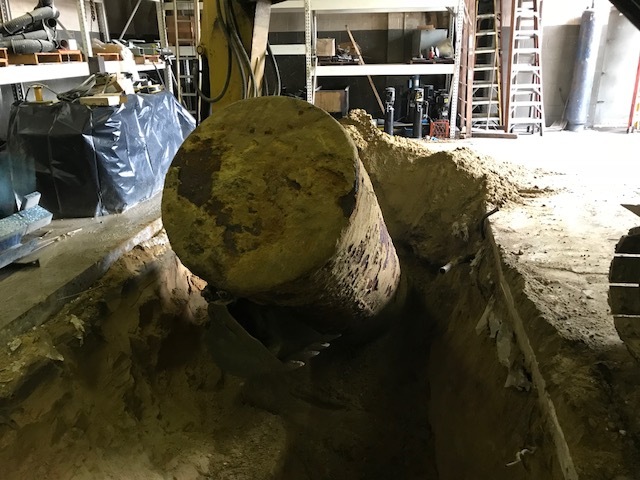 Another Phase I performed found the need to complete soil borings on the site in areas where the operations of the site may have allowed historical seepage of oils and chemicals into the soil. The Phase II did indeed find contamination in all the borings completed. At this point the purchaser was into the property for over 20K, which including attorney’s fees, zoning applications, engineering and environmental. The next step after finding an area of contamination is to determine the extent of contamination and the associated costs for remediation. This added weeks upon weeks to the financial deal which could lead to the potential purchaser to look for another property weighed against the monies spent to date. Most contracts allow the buyer or seller to back out of the transaction if repair expenses exceed a dollar amount or a time limit. Usually at this point the buyer, thinking they were buying a clean site, is upset about monies thrown down the drain and when the end will occur. Rarely does the purchaser weigh the fact that the Phase I did exactly what it was designed to do which is evaluate for potential environmental issues that could devalue the site. Slightly less than $100,000.00, later and almost 7 months from the start of the Phase I was the property cleaned up. The buyer dodged a remediation expense that surely would have been in their lap if the property was bought without a Phase I as the party they sell too would most likely not be as foolish to purchase without performing Due Diligence. 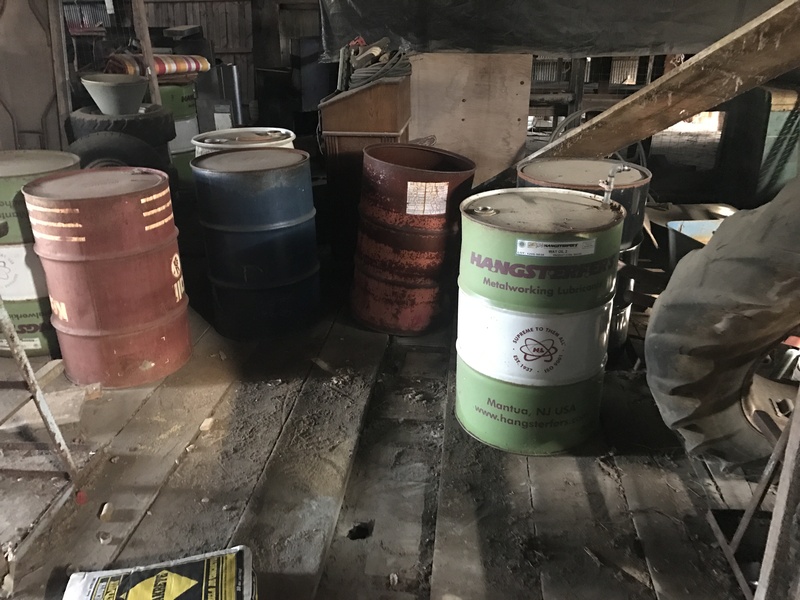 The photo below is a drum storage area, the floor below the wood was heavily stained. It was flagged in the Phase I as an AOC and testing was recommended and the testing found contamination. Phase I cost sharing. Due to the unexpected outcome of any Phase I’s in some instances the expense of the Phase I is shared between buyers and sellers. The advantage for both parties it not just financial (50/50 split), but ownership of the report. If the transaction falls apart for reasons other than environmental finds issues, the owner has possession of the report and can share same with the next prospective purchaser. Phase II cost sharing is more complicated. The Phase II by definition involves physical examinations and in many cases testing. Phases II expenses can dwarf the cost of a Phase II and due to the potential of finding an issue, many sellers would prefer the testing not be performed. This is particularly common when the issues being investigated relate to potential conditions that predate the current owner. This is a very common situation if the current owner purchased the site in the last 20 years and did not perform a Phase I. Cost sharing is again valuable as the owner has rights to the report and data generated by the Phase II. In most cases if the Phase II finds an issue that must be addressed or remediated (Phase III) the phase II has to be shared with the owner to document the findings. Phase I cost sharing is far more common than in Phase II situation.